The current economic and political morass in Argentina stems from a confluence of two issues that have intersected several times over the last seventy years. The first is the concept of Peronism and its misinterpretation by President Cristina Fernández de Kirchner (2007-present), who has striven to follow the policies of her late husband and previous president Néstor Kirchner, with decreasing success. The second is the cyclical nature of Argentina’s economy. Periods of sustained economic growth eventually stall leading to stagnation and decline. The current result is a political stalemate, where the president frantically searches for policies that will stem the loss of support by the people of Argentina and stabilize the economy. However, she has yet to comprehend that as the leader of the Peronist Party she will not be allowed automatically to inherit the success of her predecessor simply by relying on the ideology of Peronism. Néstor Kirchner assumed the presidency in May 2003, a time when Argentina was convulsed by a maelstrom of debt and chaos. The economic implosion of late 2001 had devastated the country, with factories abandoned, banks closed and creditors demanding repayment of the nation’s debt. In quick succession four heads of state resigned, leaving the country effectively leaderless and in deep crisis. The election of Néstor Kirchner brought, in time, political stability even though he received less than a quarter of the votes and gained the presidency only after his Peronist rival and former president, Carlos Menem, withdrew. Kirchner’s policies began to restore economic growth. Rejecting the neo-liberal economic ideas of previous Peronist and Unión Cívica Radical administrations, Kirchner’s program of income redistribution and refusal to pay back creditors fully, dollar for dollar, made him very popular with Argentines, but made Argentina a pariah on world financial markets. Cristina Fernández de Kirchner was elected to her first term as president in 2007, promising continuity with her husband’s successful administration. Despite the sudden death of Néstor in 2010, Fernández de Kirchner managed to be reelected in 2011, campaigning on the notion that Peronism would provide a continuing social and political model for her administration. This was a mistake. Over many years Peronism has been identified with Juan D. Perón for whom the concept is named, defined as a political ideology, and most recently as an element of Argentine culture. Peronism has morphed over time, depending on which issues most capture the hearts of Argentines. But most of all, Peronism is not a coherent political philosophy that can be traced from inception through a period of maturation. Peronism is a shadow, an ethereal set of ideas that takes whatever is popular at a given moment and is used to enhance the power of the political leader. Peronism is more of a political tactic than an ideology. In 1943 Perón may have employed the structure of a corporatist military government, but these notions were not the totality of Peronism. The mid-1940s populist program of higher wages and better working conditions developed by Public Works Minister Juan Pistarini might become the classical core of Peronism, but then only for a season. 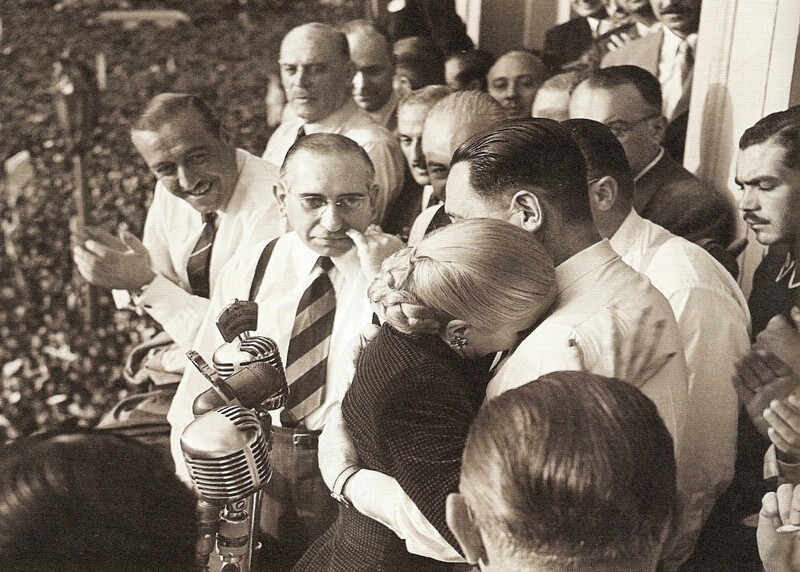 Peronism in 1944 may have taken the rebuilding of San Juan as it central message for creating a New Argentina, but Peronism in the late 1940s was more concerned with the women’s vote and the export market. Indeed, the bewildering mix of fascism, liberalism, populism, democratic, labor-centric, state capitalism, socialism of Juan Perón had ultimately only one meaning: to give Perón power and make him the central figure in the government. Perón became the champion of the common Argentine, the “shirtless ones,” or descamisados as he called them. As an outsider to the political power center of Buenos Aires, Perón claimed the totality of opposition. After his overthrow in 1955, Peronism of the exile years appealed to the dispossessed: labor, youth and the poor. Peronism after Perón then became Menemism and Kirchnerism. Like Juan Perón, who grew up in Argentina’s southern Patagonia, Carlos Menem came from the northern province of La Rioja, and Néstor Kirchner was from Rio Gallegos, in the southern province of Santa Cruz. All three were outsiders who brought hope in the name of Peronism. Cristina Fernández de Kirchner identifies herself as a Peronist. “Peronism is so much like Argentines,” she announced. “We Peronists, just like all Argentines, are capable of spawning the most generous actions and the most sublime individuals, as well as the most despicable actions.” She has tried to identify problems that can unite Argentines. She has attacked Vulture Funds which refuse to compromise on debt repayment and threaten Argentina’s financial markets. Fernández de Kirchner continues to press Great Britain over the sovereignty of the Falkland/Malvinas Islands, and she has identified her administration with those of Cuba and Venezuela. These issues brought her some support. But her insistence on misrepresenting inflation statistics, controlling access to U.S. dollars by Argentines and making her administration the victim weakens her politically. She has held onto the Peronism of her husband rather than affirming her rapport with the people of Argentina searching for answers to current crises. The second issue creating the malaise that made the country so vulnerable is the economic uncertainty in Argentina, especially after the June 17 ruling by the United States Supreme Court denying Argentina’s request to stop Vulture Fund NML Capital from going after the country’s assets in order to obtain repayment of Argentina’s debt. Yet this present dilemma is only the latest in a long line of troubles that have grown naturally out of boom and bust cycles dominating the Argentine economy. Juan Perón initiated a policy of controlling export markets as a way to take profits from agricultural commodity exports and redirect them to industry and social programs. The policy was successful in the immediate post-war era when Europe needed to import food. But by the 1950s conditions changed as Argentine export prices slumped, and the resulting economic strains led Perón to become more authoritarian in order to maintain his system of benefits to those he favored. In 1955 the military coup that overthrew Perón tossed aside his economic policies. In their place came an era of free market economic development. Some growth returned, but Argentina became increasingly dependent on foreign capital. Perón returned to Argentina briefly in the 1970s, but his presence quickly demonstrated that no one could agree on what Peronism meant, not even Juan Perón. He tried desperately to hold together the various groups supporting him, promising all things to everyone, but the coalition crumbled when he died in 1974. 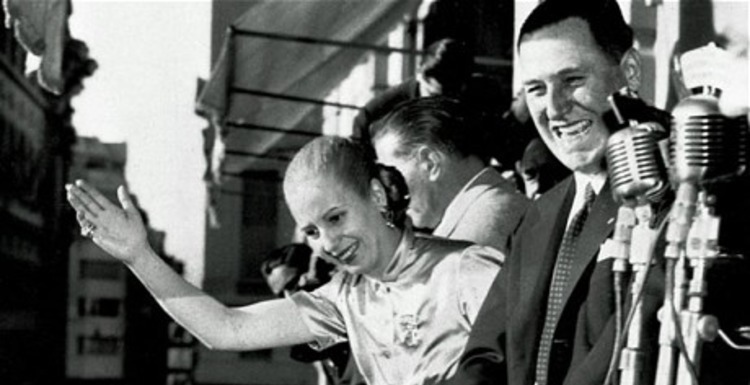 His third wife, Vice President and his successor, María Estela (Isabel) Martínez de Perón, could not maintain control over the economy or the government and was removed in a coup. The infamously brutal military regime that followed borrowed outrageously, encumbering generations to come with massive foreign debts. A period of hyperinflation created chaos after the fall of the military regime in 1983 and led to the introduction of a new currency, the austral. One austral was equal to 1,000 pesos. In 1989 the Peronist Party’s Carlos Menem took office (1989-1999) and began to redefine the policy program of Peronism. In 1991 Menem changed Argentina’s currency once again, with one peso equal to 10,000 australes and pegged Argentina’s peso to the U.S. dollar. Inflation came down, but the new Argentine currency became over-valued resulting in reduced exports and a weakening economy. President Menem also oversaw a wave of privatizations, with the government airlines, telecommunications, the national petroleum company and other assets sold to private companies, mostly foreign. The economy boomed for the wealthy and the well-connected, although unemployment and poverty increased dramatically. The Argentine economy finally collapsed in late 2001, creating an economic catastrophe and a political vacuum that Néstor Kirchner addressed. Cristina Fernández de Kirchner now flounders in the doldrums of declining popularity and economic confusion, unable to adapt Peronism to the current crisis. Peronism may emerge anew with presidential elections in October 2015. Fernández de Kirchner is constitutionally barred from running for a third consecutive term, but Buenos Aires governor, Daniel Scioli is emerging as the Peronist heir-apparent. Scioli is the candidate for the Front for Victory/Peronist Party. Another Peronist, Sergio Massa created his own party the Renewal Front and plans to oppose Scioli in 2015. Whichever candidate best reads the mood of the population and wins the election will have the opportunity to redefine Peronism in the twenty-first century. James P. Brennan, ed. Peronism and Argentina, Wilmington: Scholarly Resources, 1998. In the introduction, Brennan writes, “Peronism has always been profoundly rooted in national conditions.”(xi) The chapter by Christian Buchrucker, “Interpretations of Peronism: Old Frameworks and New Perspectives,” looked at the typologies of Peronism that focused on political ideologies from fascism to socialism and populism and finds that none of them are adequate. Instead of an ideology, “Peronism has seen itself as representing the contemporary values of the people,” concludes Buchrucker (12). The latest iteration of Peronism can be found in Matthew B. Karush and Oscar Chamosa, eds. The NewCultural History of Peronism: Power and Identity in Mid-Twentieth-Century Argentina , Durham, NC: Duke University Press, 2010. See Mark Healey, The Ruins of the New Argentina. Peronism and the Remaking of San Juan after the 1944 Earthquake, Durham, NC: Duke University Press, 2011. Healey attempts to define the meaning of Peronism through its response to the earthquake from 1944 through the early 1950s.